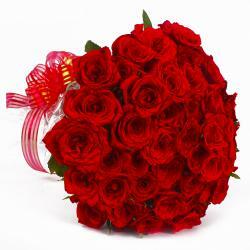 Product Consist : Hand Bouquet of fifty White Roses with green fillers in cellophane wrapped. 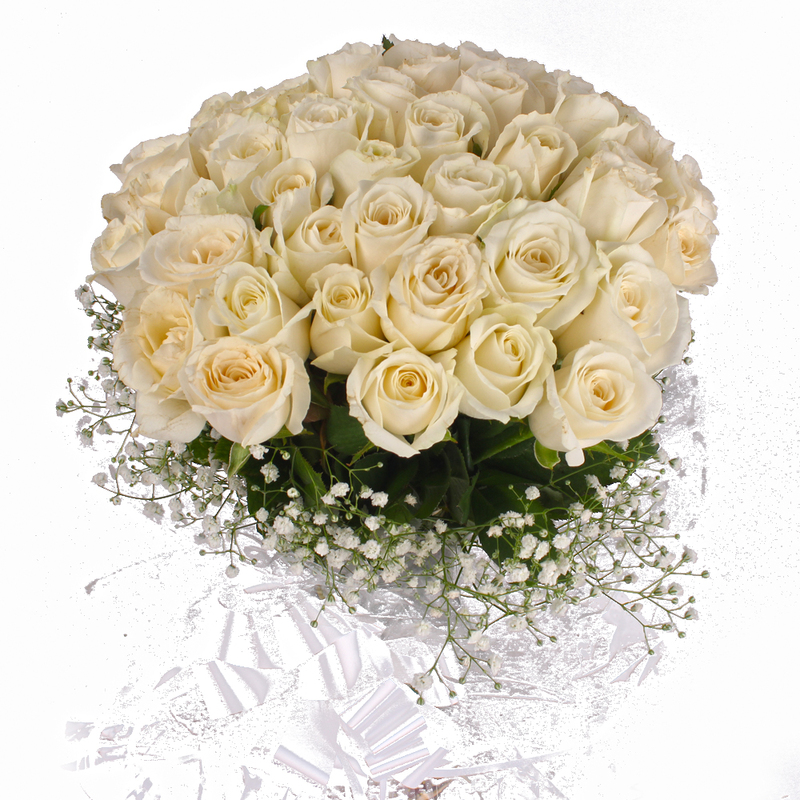 This truly contemporary and gorgeous bunch of brighting white roses is an ideal gift for those who like to stay updated with latest fashion trends. 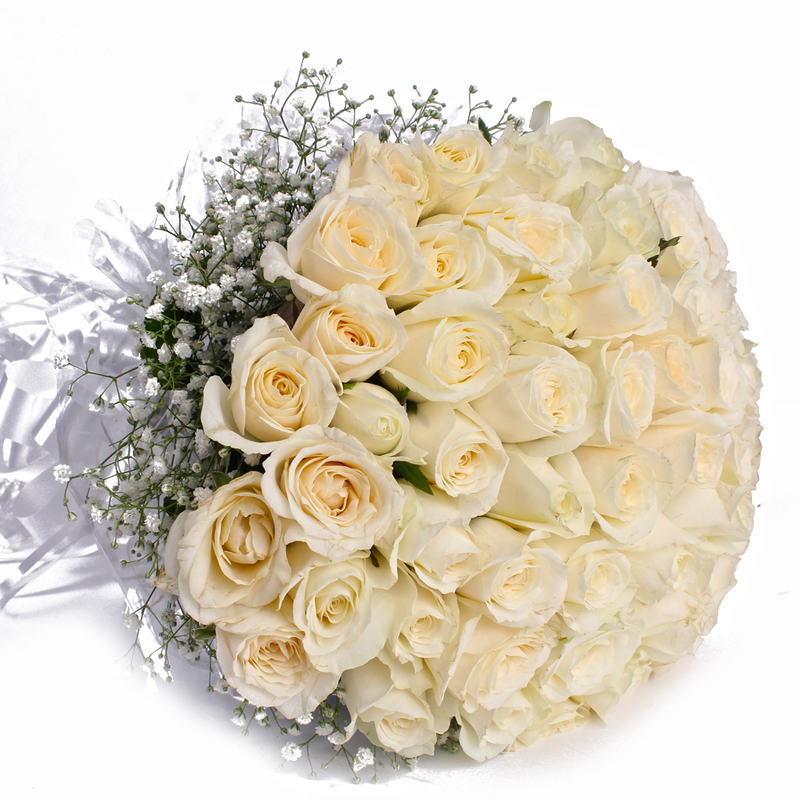 A gift of a beautiful bunch of white roses beautifully wrapped in cellophane and completed with a matching color ribbon bow from Giftacrossindia. 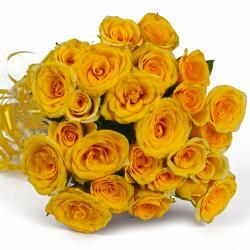 It is sure to make the day unforgettable. 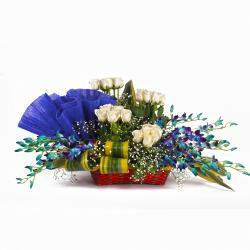 This bouquet is best option for gifting on different occasion such as Condolence, Sympathy, Take Care, Get Well Soon, Anniversary, Best of Luck, Durga Puja, Womens Day etc. 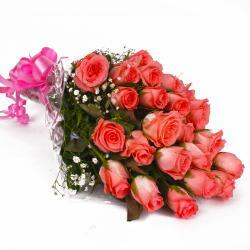 Product Contains : Hand Bouquet of fifty white roses with green fillers in cellophane wrapped.